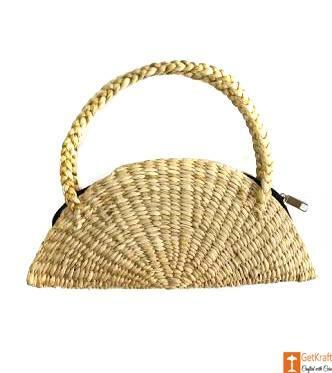 Carry this handmade Eco-Friendly and Unique Bag made with kauna grass to grab the attention of your loved one while hanging out. A ladies purse or clutch this product is perfectly crafted out of the finest of kauna material to ensure its long term durability. A small and handy accessory for the ladies to match the trendy features of their attire.